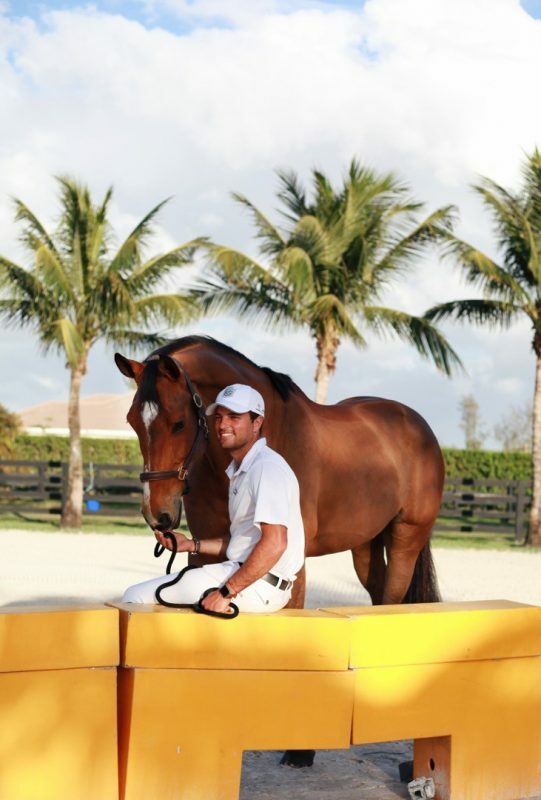 When Daniel Bluman talks horses and show jumping, he speaks with intent. Daniel has taken these lessons to heart. At 28 years old, Daniel has represented Colombia, South America, at two Olympic Games — London 2012 with Sancha LS, and Rio de Janeiro 2016 with Apardi. He was a contender in two World Equestrian Games, as well as two Pan American Games. This year alone, he’s racked up stellar performances at the Winter Equestrian Festival, including a speedy win with Sancha LS in the $205,000 NetJets Grand Prix CSI4*, snatching the title in the $15,000 Turf Tour Grand Prix with Esme, and claiming top prize in the $384,000 Fidelity Investments CSI5* Grand Prix with Ladriano Z. He has a string of horses in his barn that includes championship contenders, speed specialists and everything in between. 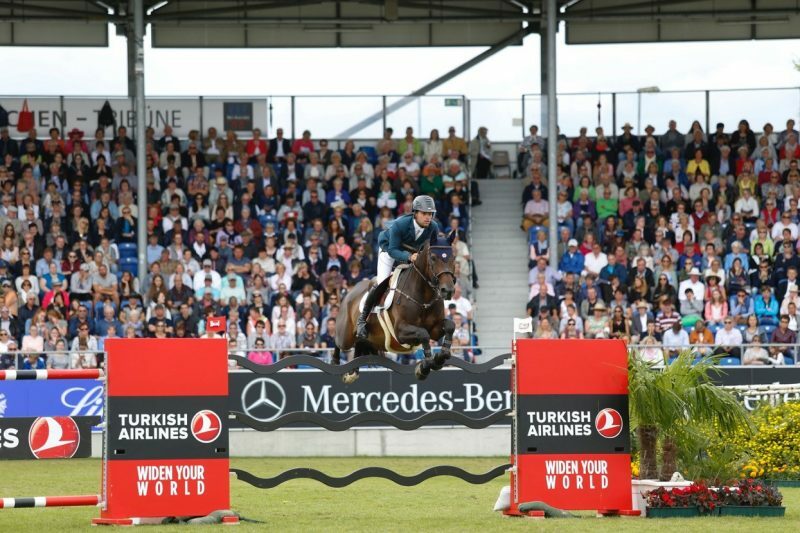 The World Equestrian Games is Daniel’s main target for 2018. 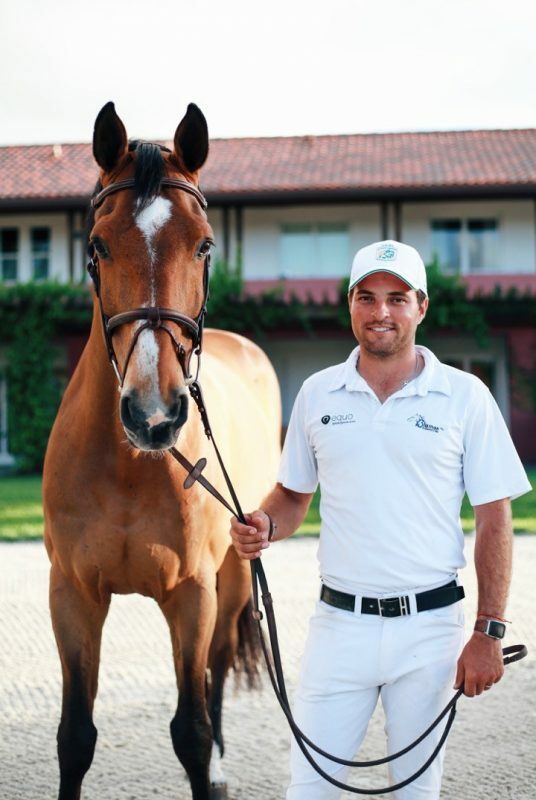 However, he has a list of other objectives he’s set in his sights, including the events that comprise the Rolex Grand Slam, placing him in the ring among the best riders in the world. The first step in the Bluman method of becoming a horseman is to love horses. “Not as a tool for the sport, but loving horses as a horse — as an animal,” Daniel explained. With this appreciation comes a yearning to understand horses, to improve their quality of life, as well as a desire to learn their individual ways and mannerisms, he continued. The second step is to surround yourself with great horse people, and soak up the knowledge. “Watch how they work and perform, how they train,” Daniel said. There are two horsemen whom Daniel describes as being instrumental in his growth within the equestrian sport: Nelson Pessoa and Dr. Jorge Gomez. “Pessoa is one of the most amazing horsemen I’ve ever met,” said Daniel, who moved to Belgium in 2013 to train with the legendary Pessoa. “I was able to live very closely and train with him every day for a long time. That was the greatest influence on my career. The final step: Listen to the horses. Daniel represented Colombia at two Olympic Games and is excited to now be representing the Israeli flag. Daniel was 3 years old when he first climbed on the back of a horse. 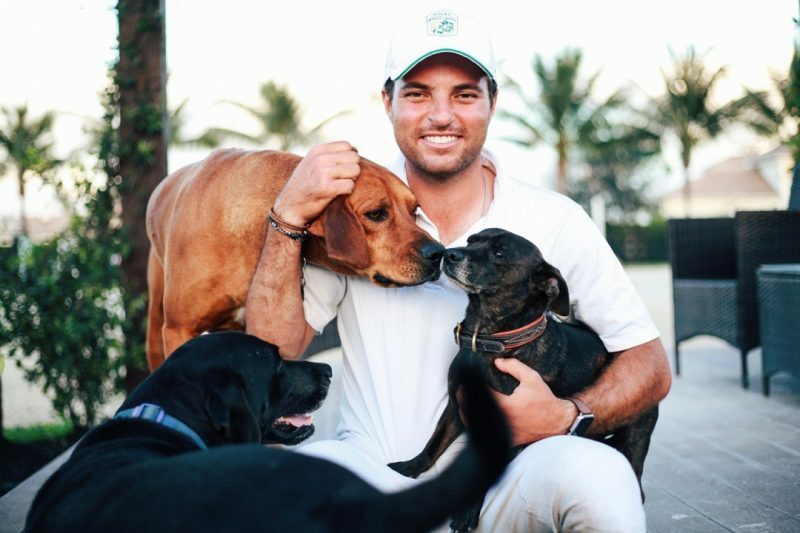 Born in Medellin, Colombia, Daniel always loved animals, and his parents, Samuel and Orly, put him in riding lessons to be around horses. Daniel’s older cousins were already riding in small competitions, which captured the rookie rider’s interest. 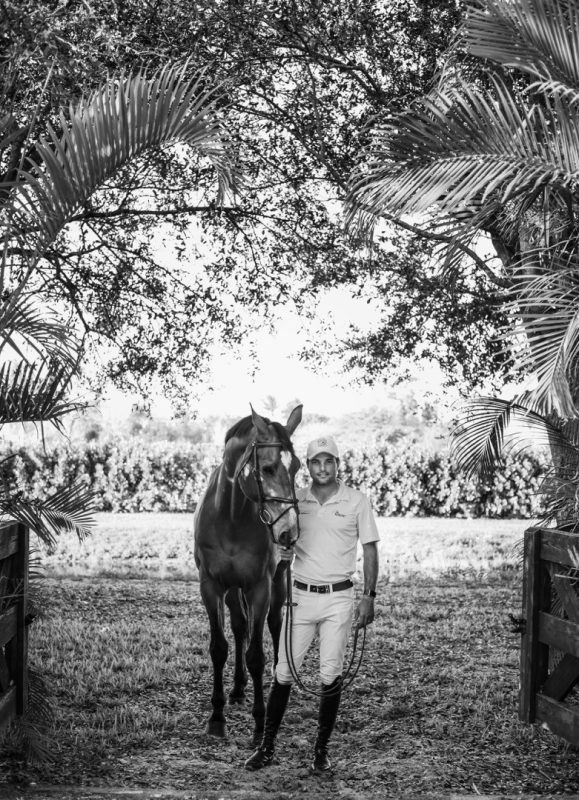 In 2000, when Daniel was 10 years old, his family moved to South Florida near Fort Lauderdale, about an hour from Wellington, giving the aspiring rider access to the Winter Equestrian Festival. 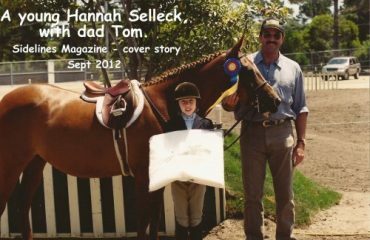 Daniel may not have come from an equestrian family, but his parents and brother Steven have been a pillar of support from the beginning. Samuel and Orly raised Daniel and Steven to work for what you receive, and ensured he was educated and prepared to tackle whatever life threw at him. 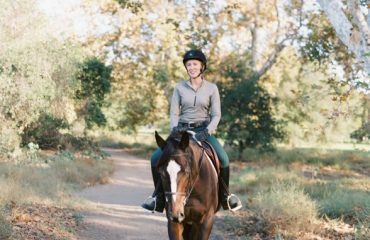 In 2018, Bluman Equestrian is now a full-scale equestrian operation. The U.S. branch of the business is based out of New York and Florida, while the European branch is based out of Belgium. Daniel competing Sancha LS in Aachen. “Because of her I’ve been able to go to the most important competitions in the world,” Daniel said. At the mention of Sancha LS, Daniel’s voice takes on a different, loving tone. His admiration and appreciation for his long-time partner is palpable. The pair first crossed paths in 2010 when Daniel was an up-and-coming Colombian rider, and the mare was a 7-year-old with talent and speed. Astride the game La Silla-bred mare, Daniel burst onto the international show jumping scene. At 15 years old, Sancha remains a force to be reckoned with in an international arena. 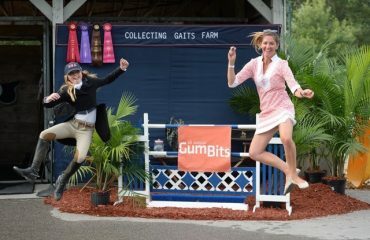 The duo has had success in top competitions in Aachen, Calgary and Geneva. She carried Daniel to two World Equestrian Games, as well as the 2012 Olympic Games in London, where they clinched a top-20 finish. In 2010, Sancha was the only horse he had, Daniel explained. But, on the heels of Pan American Games and Olympic performances, the offers came. After a year off, Sancha LS made her return to the international ring in 2017, snatching up a second place in the Rolex Grand Prix at CHI Geneva in December, and winning the $205,000 NetJets Grand Prix CSI4* in Wellington, Florida, in February. Daniel and his cousin, Ilan Bluman, run Bluman Equestrian out of New York and Florida, with a European branch based out of Belgium. In 2017, after eight years of representing Colombia, Daniel started riding under the Israeli flag. It wasn’t a change he took lightly. Daniel wanted to give this new chapter as part of Team Israel his all. He wanted to grow the Israeli presence on the international scene, zeroing in on building equestrian sports in Israel while keeping an eye firmly planted on the 2020 Olympic Games in Tokyo. It’s clear that representing Israel is more meaningful to Daniel than delivering Nations Cup and championship results. A dual citizen of Colombia and Israel, Daniel spent the first decade of his life in Colombia. But his family is from all different parts of the world. His grandfather survived the Holocaust, spending three years in Auschwitz before moving to Colombia. In 2016, Daniel married his love, Ariel, herself a show jumper who competes for Israel. “Through it all, the one thing that has always remained with me is my culture; what it means to be Jewish and to come from a family who has had to go through the Holocaust,” Daniel said. “Israel means a lot to me. Israel is a country that accepts every person — it doesn’t matter your sexual orientation, your race, your religion, your ideas. It’s a country that embraces you without prejudice … This is an amazing philosophy of life from an area of the world where living is not so easy. “I’m very proud and emotional when I think about representing the Israeli flag,” he added. Daniel is the first to admit he’s not often away from a horse. He and Ariel have made a life around the sport, so Daniel’s nearly always doing something horse-related. But when he’s not, you can find him watching movies at home with Ariel, spending time with his family and investing as much time as he can into the charity organizations he supports. This winter, Daniel carved out two breaks in his schedule to head to the mountains. He returned to the ring refreshed and ready to keep competing and working.